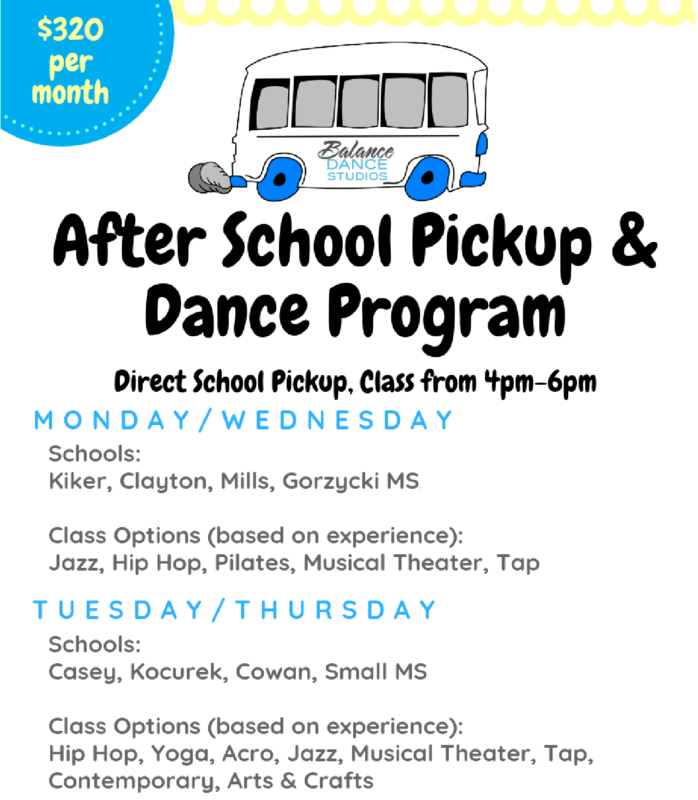 Balance is now offering after school pickup! Interested in getting more information on after school pick-up and dance classes at Balance Dance Studios? Fill out the form below and we will be happy to chat with you!